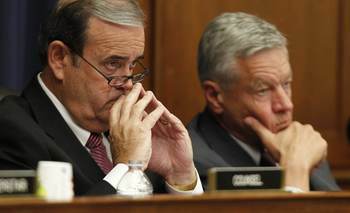 When the Congressional oversight committee issues a blanket statement of support for a proposed rule, one is left with the dismaying feeling the legislators don’t understand or don’t care. Such is the thought attendant to the Notice of Proposed Rulemaking (NPRM) posted 12 October on the Federal Register. The NPRM is the long-awaited response by the Federal Aviation Administration (FAA) to improve the safety of helicopter emergency medical service (HEMS) operations. The HEMS industry has been plagued by a shocking frequency of accidents. Sixteen HEMS crewmembers have been killed this year in accidents, an increase that recalls 2008, when a midair collision of medevacs helped drive the death toll to an all-time high of 28 crew members and patients. Once again, the FAA seems to be plugging holes with frankly leaky regulations that address some issues while remaining silent about big changes that would really affect safety. 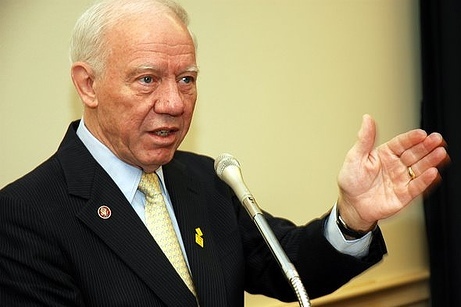 Nevertheless, the chairman of the House Committee on Transportation and Infrastructure and the chairman of the Aviation Subcommittee lauded the FAA’s action. At least Costello acknowledged that the NPRM covers “many” safety issues, implying not all of them. Even the NTSB recommendations don’t cover all safety issues. The proposed rule covers what might be called important “tactical” considerations while leaving “strategic” concerns unmentioned. In terms of “tactical” initiatives, the FAA plan would require terrain warning systems, operation control centers for larger companies, pre-flight risk analysis – particularly regarding inclement weather – and stricter flight rules whenever medical staff – not just patients – are aboard. Certain “strategic” issues were not discussed. Divided among 70+ companies and public entities, the U.S. HEMS fleet numbers some 880 air ambulance helicopters. This number marks a 54% increase between 2003-2008, and the number continues to grow. The reason for this explosive growth is to be found in Medicare boosting its reimbursement rate for HEMS flights. The spigot of new money expanded the market for private operators, who compete ferociously for business. A typical HEMS flight can generate a payment of $20,000 or more. To garner these payments, operators have a built-in incentive to fly – despite such dangerous factors as marginal weather and night operations. One HEMS pilot described every patient as a golden trout. “We need to get these trout,” he said, because of the generous Medicare reimbursement. Reading the NPRM, it is evident that the FAA does not intend to link approval to conduct HEMS flights to any sort of graded HHS reimbursement rate based on safety. A tiered reimbursement schedule, based on safety programs, would be exceedingly useful, if nothing else as a club to ensure compliance with FAA regulations and optional practices. It is obvious that the more generous Medicare reimbursement since 2002 has spawned a competitive growth in the industry. The number of companies and helicopters is expanding, and they transport an estimated 400,000 patients and transplant organs each year. The HEMS industry is now about a $2.5 billion activity. Maybe not all “golden trout” ought to be transported by helicopter. Ground transport would be adequate for many patients not suffering life-threatening time-sensitive illnesses or injuries. The Canadian experience is instructive. 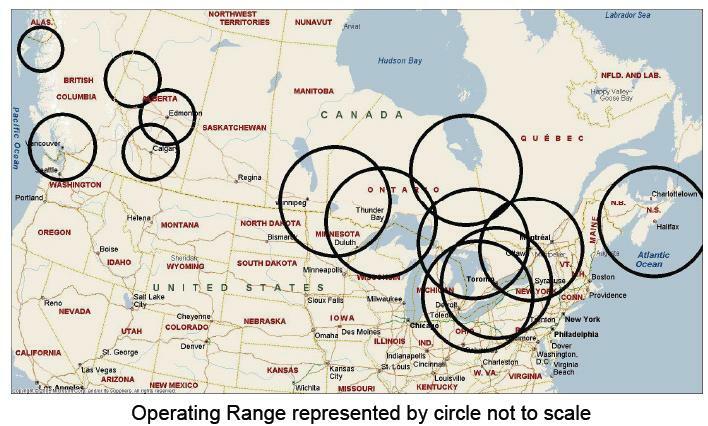 The Canadian HEMS industry totals 20 helicopters covering the entire country. Contracts are awarded to the four companies providing the flights based on a request for proposal (RFP) process, and managed through Provincial Health departments. In Canada, medical evacuation helicopters fly to prepared landing zones; from the scene of the accident, patients are transported by ground ambulance to the landing zone. A minimum of 5 miles visibility is required in mountainous regions. The list of requirements goes on. Suffice to say, there is no mad competition for “golden trout” in Canada. The entire populated area of the country is covered by the four companies operating a grand total of 20 helicopters. The safety record is commendable. 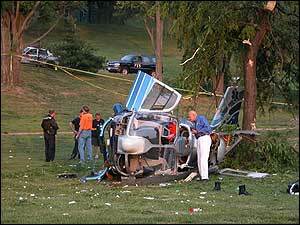 The Canadians have never had a fatal accident involving a medical helicopter. 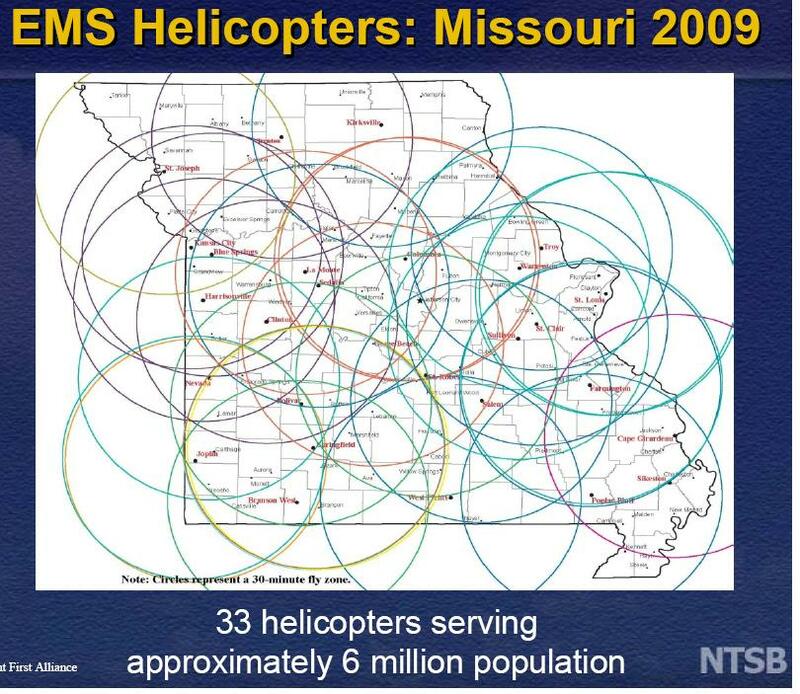 Now consider the state of Missouri, which has some 33 helicopters serving the sate. The number is up from 9 helicopters in 1985, largely as a result of the economic incentive provided by the Medicare reimbursement formula. In other words, one state has more helicopter ambulances than the entire country of Canada. The payment scheme may contribute to a phenomenon known as “press on” regardless, in which the evacuation flight may be launched and continued under marginal weather conditions to realize payment. Not to put too fine a point on it, but this is a scheme where the decision to fly is market driven. Medical necessity is frequently a second order (or lower) consideration. The unparalleled growth in the HEMS industry has diluted safety, as evidenced by the accident record. Rather than looking for ways to increase the safety of America’s large fleet of market-driven air ambulance helicopters, the Canadian model should be examined with a view to emulation. This course might drive some marginal operators out of the business of transporting patients by helicopter. The counter argument is that if standards were codified to the level really needed to operate these flights safely, some companies would not be able to support the costs (especially if Medicare payments were linked to safety programs) and would be driven out of business anyway. A return to the fleet size prior to 2002 would not necessarily be a bad thing; market growth has been stimulated by the method of payment, not be a huge increase in patients requiring time-sensitive aeromedical transport. In addition to method of payment independent of safety, the second “strategic” issue is the fact that HEMS operations are flown by just one pilot. Helicopter ambulances are authorized by the FAA to be flown by one pilot, although helicopters are generally designed for two-pilot operations. Military medical evacuation helicopters are flown by two pilots. In Canada, which has not suffered a single fatal HEMS accident, two-pilot operation is required. In the U.S., HEMS flights are routinely conducted by one pilot, often with a medical technician occupying the co-pilot’s seat to relieve the pilot’s workload by operating the radios, maintaining an external watch for obstacles, and so forth. It should be noted that no commercial airline flight would be undertaken by a single pilot. The airplanes and air traffic control procedures are based on two pilots sharing the workload. And these flights are conducted from one airport to another, under radar coverage from the ground while en route overland and in the vast majority of terminal areas. Moreover, commercial airline flights are conducted with installed safety systems where two pilots can enhance the response. These systems include TCAS (Traffic Alert Collision Avoidance System) and TAWS (Terrain Alert Warning System). By contrast, HEMS flights are conducted to remote landing zones that may be a school parking lot or a highway, at low altitude, in precipitation, fog, hilly terrain and/or man-made obstacles (e.g. transmission towers and their guy wires). The HEMS flights are often conducted at night, without benefit of continuous air traffic control and surveillance, under extreme time pressure to retrieve a patient. How these operations were authorized to be flown by one pilot is a mystery. The FAA says these helicopter ambulances, although designed for two-pilot operation, have been cleared for handling by just one pilot. The agency has declined to divulge information justifying this decision (such as reports of test flights, the risk matrices used, the problems attendant to one-pilot operation and how they are supposed to be handled). If one were to ponder why the FAA is so circumspect about single-pilot operation – and willing to authorize same – the cost to operators lies darkly in the spectral background. Having to train and keep current two pilots, and pay their salaries, would probably render many of the proliferating operations non-viable. All we know officially is that these operations are approved for single pilot conduct, medical technicians are frequently taking up en route flying workload, that the NPRM contains many initiatives that increase pilot workload, and that neither the U.S. military nor other countries operate these “angels of mercy” flights with just one pilot. Moreover, Congress has abetted the “tactical” vice “strategic” approach reflected in the NPRM that the committee and subcommittee chairman now hail as a great leap forward. From its FAA reauthorization bill (H.R. 916) has provided loopholes galore. For example, matters to be addressed include “devices that perform the function of flight data recorders and cockpit voice recorders to the extent feasible…” The words “to the extent feasible” relegate flight data and cockpit voice recorders (FDR/CVR) – which the NTSB deems essential – to the “too hard, too expensive” pile of unrequited safety recommendations. Sure enough, the NPRM discusses a Light-weight Aircraft Recording System (LARS) to avoid the cost of fully functional and crash hardened FDRs/CVRs. Congress seems to be abetting the status quo. The reality of the NPRM is being papered over with enthusiastic committee press releases. The situation in the medevac community is reminiscent of a proliferation of tow-truck drivers haunting known accident scenes and actively touting for business. Conduct all HEMS flights with medical personnel on board under Part 135 rules, which are more stringent than those under Part 91. Comment: is the FAA trolling for a reason NOT to implement this rule? Require HEMS operators to implement flight risk evaluation programs that include training all employees involved in the operation. Classified “OPEN – Acceptable Response” with the hope of “timely enactment of a final rule.” As the recommendation was issued in 2006, “timely” seems debatable at this point. The FAA believes its proposed actions are fully responsive to NTSB recommendation A-06-13 and partially responsive to recommendation A-09-89 below. Require EMS operators to use formalized dispatch and flight-monitoring procedures that include up-to-date weather and assistance in flight risk assessment decisions. The FAA asserts that this requirement will be implemented for all operators with 10 or more ambulance helicopters, thereby covering 620 of the 884 helicopters engaged in medevac operations. Regarding the flight risk assessments, the FAA proposes that the pilot in command complete and sign a formalized worksheet (the NTSB found that some pilots were conducting a “mental risk assessment”). Of genuine benefit as a check and balance, the FAA requires a company operations control specialist to countersign the worksheet. The FAA is rather vague about what happens when the pilot and the flight control specialist disagree on the risk assessment. The role of the operations control specialist is not mentioned. In airline operations, the decision to conduct a particular flight is made jointly by the pilot in command and the dispatcher. Install terrain awareness and warning systems (TAWS) on helicopters and provide training in their use. Comments: note the concern about costs, but no mention about the imperative to improve safety. The installation timeline proposed by the FAA mans the last EMS helicopter will be outfitted with HTAWS in 2014, or about 8 years after the NTSB recommendation. Develop training for pilots that covers inadvertent flight from visual meteorological conditions (VMC) to instrument meteorological conditions (IMC) and determine how frequently such training is needed for proficiency. 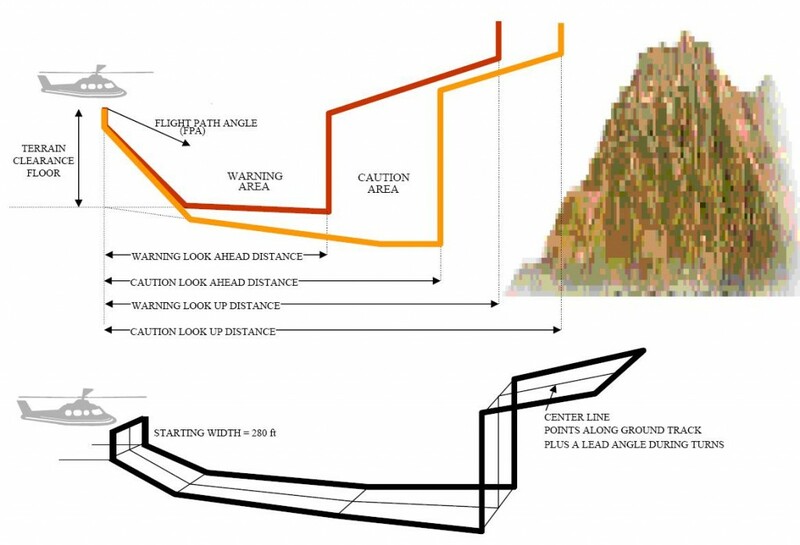 No official NTSB classification of this recent 2009 recommendation. 2. To allow IFR operations at locations without weather reporting. 3. To specify procedures for VFR transition to IMC. But there is no requirement for pilots certified on instrument flight to maintain IFR currency. Require HEMS operators to implement a safety management system (SMS). Classified “OPEN – Initial Response Received.” The NTSB has not released the FAA response, pending evaluation of its adequacy. Comment: the NTSB has in mind a more generalized, total SMS addressing all areas of operation than the NPRM addresses. Install flight data and voice recorders (FDR/CVR) in HEMS and establish a flight data monitoring program that reviews data to identify deviations from established norms. “The costs of … the CVR and the FDR equipment could prove to be prohibitive for this applications … The FAA acknowledges that LARS does not have the same crash survivability as CVRs and FDRs … Nevertheless, the FAA believes that LARS will yield beneficial data when used in helicopter air ambulances … LARS could provide precise technical data regarding the flight, such as heading, altitude, and attitude that may otherwise be unavailable. The FAA asks for comments on whether LARS will provide data that is valuable in an accident investigation. Comment: The last FAA assertion may have merit, but real insight comes when CVR recordings are overlaid on FDR data. The NTSB has used both CVR and FDR data in accident investigations. The suggestion that LARS will suffice seems driven entirely by the cost of retrofit. Of the seven NTSB recommendations, it seems fair to say that three of them will not be satisfied through this NPRM, over and above delays in implementing any of the seven. Some additional observations are provided in the summary of the NPRM provided below. “From 1992 through 2009, there were 135 helicopter air ambulance accidents, including one midair collision with another helicopter engaged in air ambulance operation. These helicopter air ambulance accidents resulted in 126 fatalities …. “The FAA is not proposing that a helicopter air ambulance pilot maintain instrument proficiency.” Comment: with only one pilot, and the propensity for VFR conditions to degrade to IMC conditions, instrument rated pilots would seem to be de rigueur. “The FAA recognizes that the current rule permits helicopters to travel long distances from shore without carrying safety equipment other than flotation devices and life preservers, as long as they remain within 50 miles of an offshore heliport. In the Gulf of Mexico, for example, some offshore oil platforms are located 150 NM from the shoreline … the FAA believes that this change would increase safety by eliminating the ability to hopscotch from heliport to heliport at great distances from shore without carrying water survival safety equipment.” Comment: Amen. “The estimated mean benefit value for the air ambulance provision is $270 million … The FAA estimates the cost of this proposed rule for the air ambulance provisions would be approximately $210 million.” Comment: these costs and benefits are spread over 10 years. Thus, the costs average $21 million per year. One wonders if a favorable cost-benefit ratio would still prevail if operators with less than 10 helicopters were included in all provisions. The NPRM does not cover “public use” operations such as the Maryland State Police Helicopter fleet. These operators could be regulated by the FAA if they have a Part 135 certificate, but the Maryland police operation presently does not. A spokesman for the Maryland State Police said the department is now pursuing Part 135 certification. This option is not addressed in the NPRM; given the sloppiness that surrounded the Maryland State Police flight operations, and the need for FAA oversight, this option should have been spelled out in the NPRM. 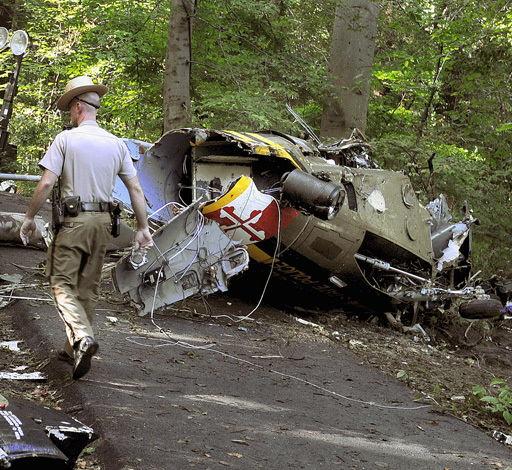 The pilot of the crashed helicopter, by the way, was instrument rated but had only about 1.9 hours of actual instrument time in the two years preceding the accident. The NPRM has no separate section dealing with autopilots, as it does for HTAWS, LARS and radio altimeters. The FAA said there are other NTSB recommendations for medevac helicopters, but it has determined they are “not ready for rulemaking at this time.” The NPRM does contain the notice that instrument flight rules approaches require that the helicopter be equipped with an autopilot. But the overall integration of HTAWS, radio altimeters, and such, with the autopilot is nowhere discussed. The NTSB has recommended that HEMS operators install autopilots “if a second pilot is not available.” This recommendation subtly equates autopilots (as boosting safety) to adding a second pilot. It should be noted that two pilots and an autopilot is the norm for airliners. Comments to the NPRM are due by 10 January 2011.